Kids use real counting rods to interact with 3 free math apps about making wacky food dishes, playing inside stories, and going on a counting adventure. Using these real toys in combination with 3 fun apps makes learning to count really fun. Got a child who is learning to count or just getting the hang of addition? 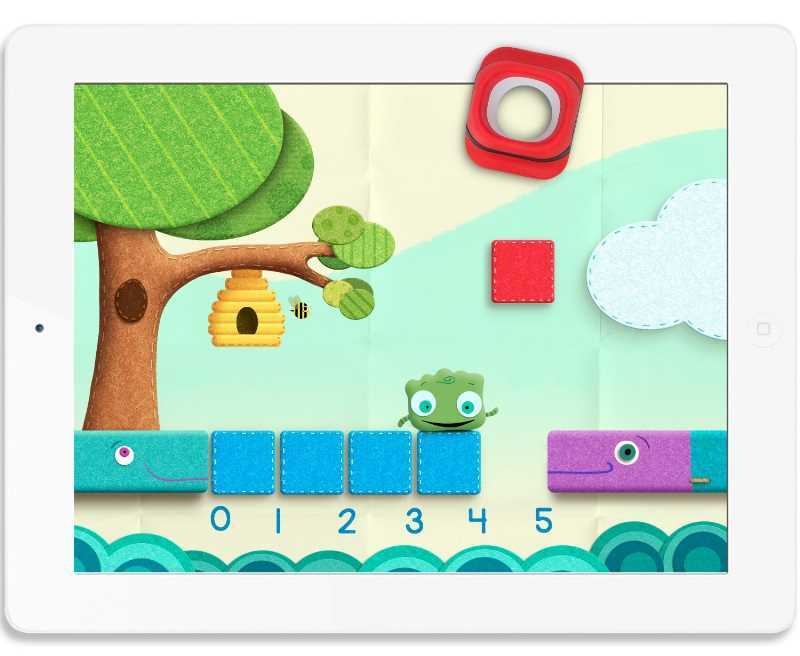 Tiggly Counts is a good choice because it brings a set of physical counting toys into three, free engaging math apps. The box contains five plastic counting rods -- representing the numbers one through five -- that interact with the surface of the iPad or an Android tablet. Each number rod has the requisite number shown as connected open circles. 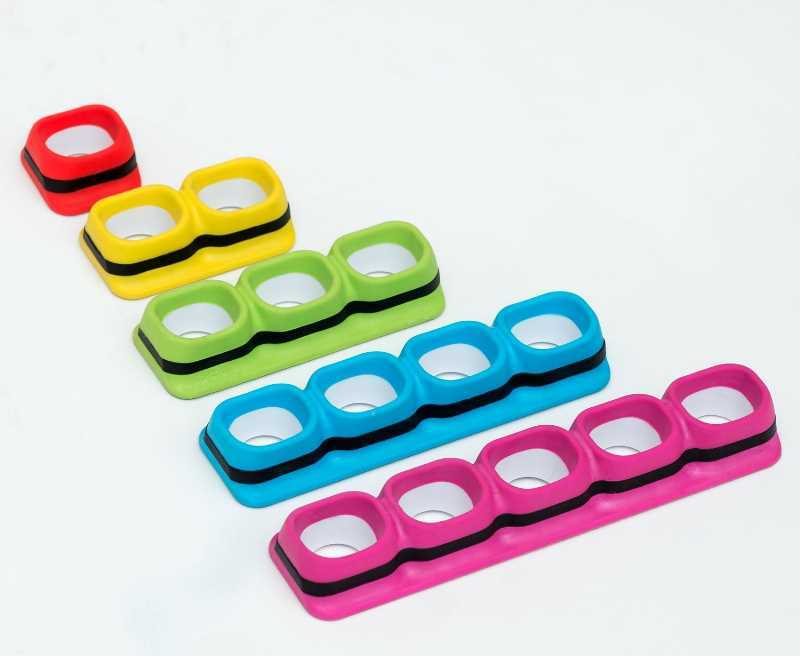 The rods are magnetic and proportional, so kids can play with them independently by connecting them together. When playing with Tiggly Counts rods on a tablet, kids need to be careful to put two hands on the rod. Otherwise, the rods don't always register. For preschoolers learning to count, the free Tiggly Cardtoons app provides a creative environment in which to learn to count to five. By placing a counting rod on the screen, the corresponding number of yellow buttons appears for kids to count and move onto outlines on the screen. 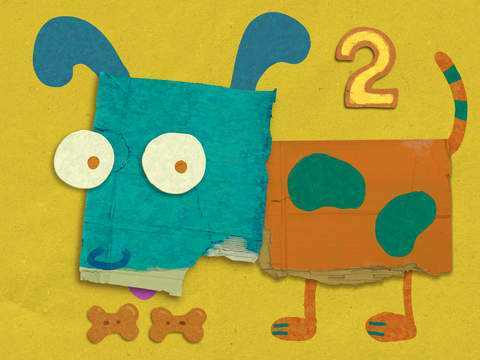 The buttons magically transform into hearts, bananas, peanuts, mice and other things while the colored background of torn paper reassembles into a character who tells a short story. Kids will be madly stamping the counting rods on the screen to hear the next of the 25 imaginative tales, and in the process learn to count. This app is available for iPad and for Android tablets. 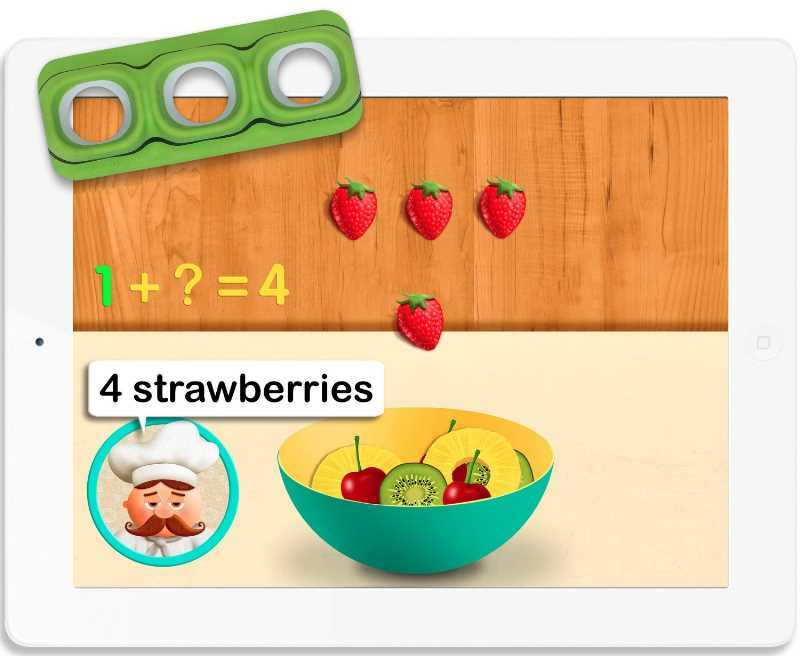 With the Tiggly Chef app, kids use the counting rods to help a dramatic and silly chef in his kitchen. By placing the counting toys on the iPad's surface, sou-chefs can collect the Chef's requested ingredients. If this Chef-with-an-attitude needs five peppermint candies, kids can place the 5-rod on the screen to see them line up under the five circles of the rod. But they could also use the 3-rod and then the 2-rod to accomplish the task. The Chef explains the addition and an equation appears on the screen. With 45 wacky dishes to prepare, each presented with a silly name such as Blushing Radish Hootenanny, kids will be busy using math as they cook. Kids can even create their own far-out recipes full of popcorn, sardines, veggies, and fruit. The Tiggly Addventure introduces kids to the number line by having them go on side-scrolling adventures. They must use the counting rods to complete bridges, roads, and ladders so that little green-squared Tiggly can reach two friends and deliver presents. This free app is available for the iPad and Android tablets. Tiggly Counts works well with kids who are just learning their numbers; and it also is great for kids who are learning to add. 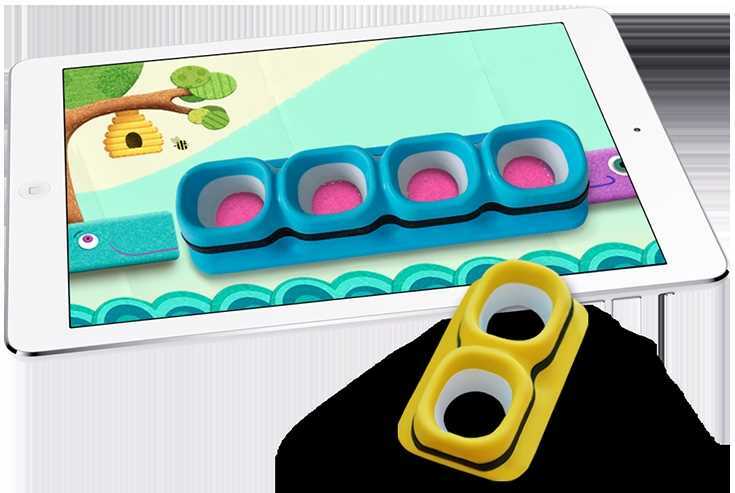 This toy will grow with your child because the apps provide appropriate content for different ages. These math manipulatives also work well in classrooms that have tablets. This Tiggly Counts tech toy review was written by Jinny Gudmundsen.